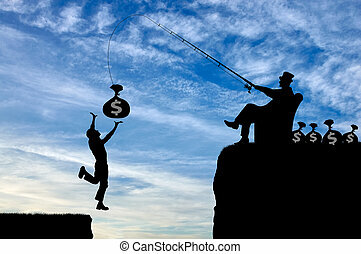 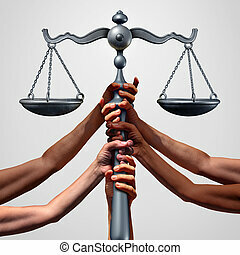 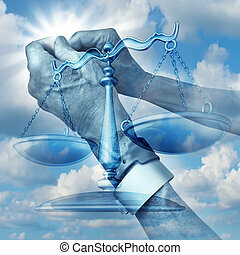 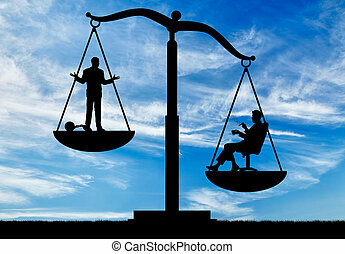 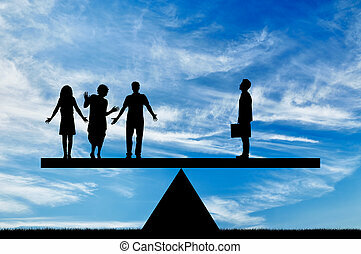 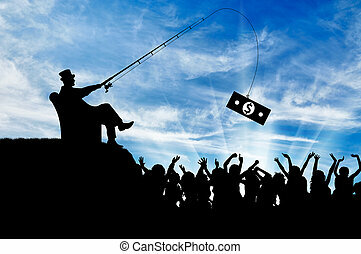 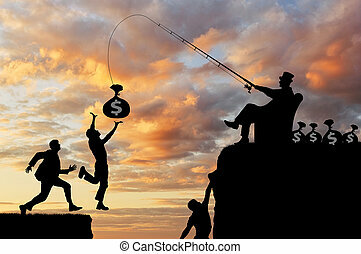 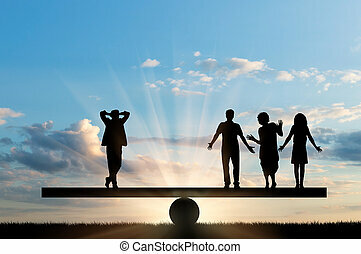 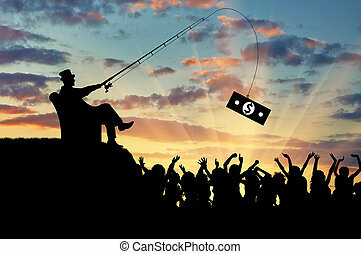 Social justice concept or class action lawsuit as a group of diverse ethnic people hands holding a court law scale as a metaphor for global equity and equality in society with 3D illustration elements. 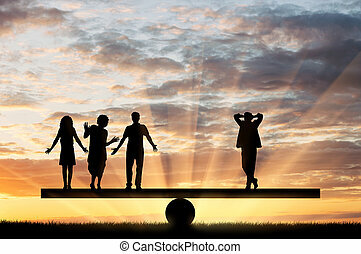 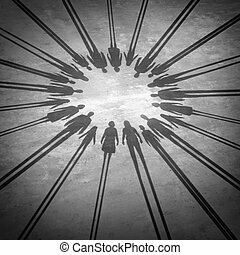 People together gathering in friendship as a circle group of diverse community members or family coming together in mutual agreement as a society and social support. 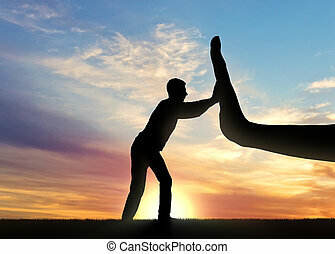 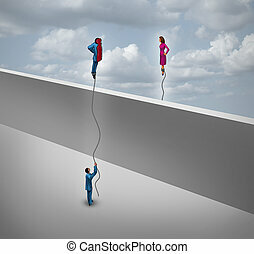 Gender and sexuality concept as a man and a woman floating half their bodies like a balloon over a wall as a symbol for relationship and identity search. 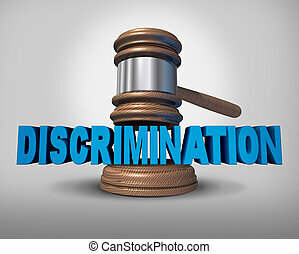 Discrimination law concept as a legal metaphopr for injustice in society as a judge gavel coming down on text as a 3D illustration. 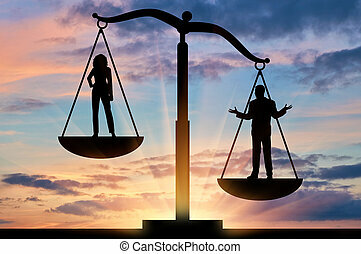 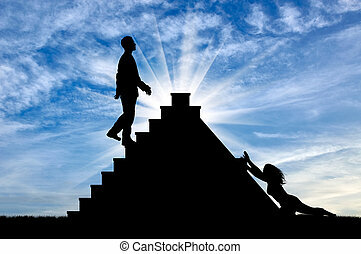 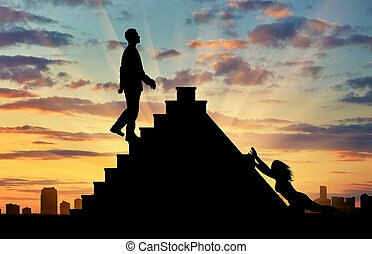 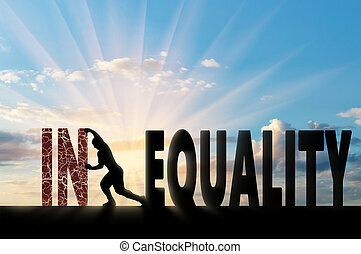 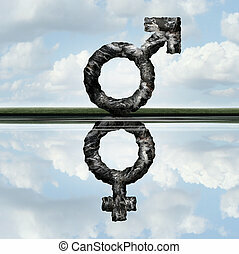 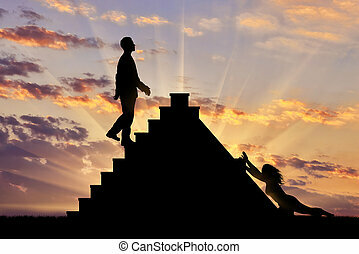 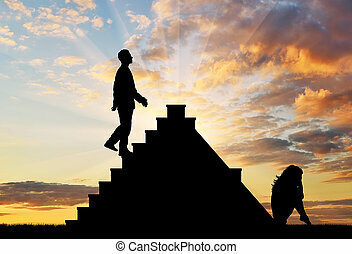 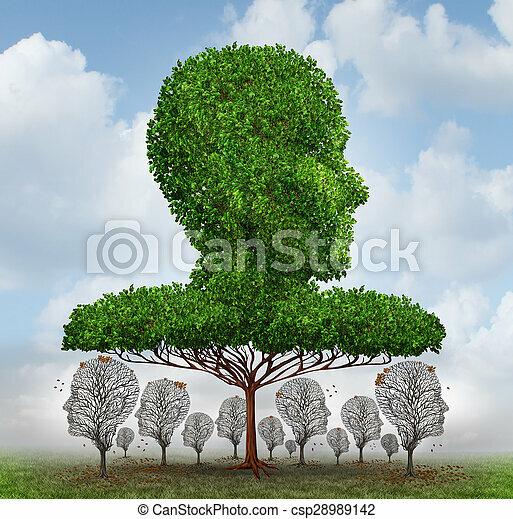 Equal rights concept as a symbol of a male creating a reflection of a female icon as an equality of men and women in society and employment issues as a metaphore with 3D illustration elements. 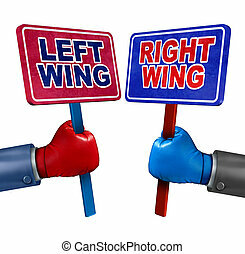 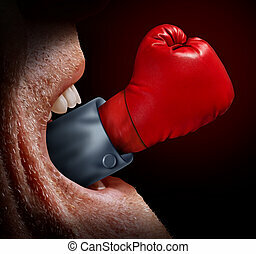 Left and right politics concept as two election candidates representing conservative and liberal values as democrat and republican debate using signs and boxing gloves. 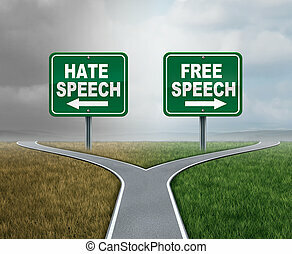 Free speech and hate talk as freedom or hatred symbol as opposite political directions with 3D illustration elements.